When you and your family are discovering the state of Queensland, don't forget to visit its capital, Brisbane. Located 14 kilometres southeast of the city centre, you will come across the popular neighbourhood of Eight Mile Plains. 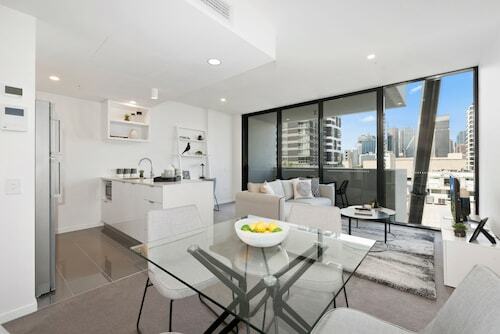 Visitors hoping for a jam-packed holiday in Brisbane will be thrilled by its many sights, like the Queen Street Mall, the Brisbane Convention and Exhibition Centre and Roma Street Parkland. Make history come alive at Hughesville. You'll love hearing the stories of the people who once lived there. If you'd like to hit the hay nearby, take a look at the Brisbane Holiday Village and Travelodge Hotel Garden City Brisbane. For a shopping fix, spend an afternoon at Westfield Garden City Shopping Mall. The Garden City Motor Inn Mt Gravatt and The Glen Hotel & Suites are your best bets for this place. At Wotif, we believe it's important to spoil yourself sometimes. 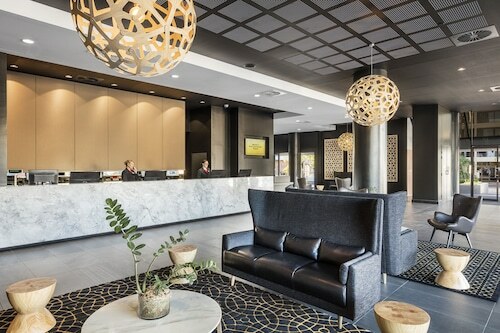 So if you're heading to Eight Mile Plains and you are able to spend a little more, take a look at the Best Western Sunnybank Star Motel. Interested in checking out a cafe or two in Eight Mile Plains? Whether you're catching up with a mate or just relaxing back in a cozy corner with a hot drink, you can't go past freshStart Coffee & Juice Bar. Once the caffeine kick wears off and your belly starts craving something a bit more filling, have a look at the menu at Brisbane Holiday Village. This well-loved eatery plates up some seriously tasty food. 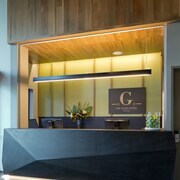 Before making your way back to the hotel, why not swing by The Glen Hotel for a nightcap? Whether you're a beer or wine drinker, you'll find plenty to like here. Don't stress if you cannot locate the right Eight Mile Plains hotel deal. You will discover more accommodation options in the Rochedale hotels guide and the Wotif Robertson hotels guide. Rochedale is about 3 kilometres from Eight Mile Plains and Robertson is approximately 4 kilometres away from Eight Mile Plains. There's no shortage of great short and long stay options in and around Eight Mile Plains. So whether you're looking for accommodation, or car hire, flights and activities as well, Wotif can make your Brisbane dreams come true. How Much is a Hotel Room in Eight Mile Plains? Hotels in Eight Mile Plains start at AU$100 per night. Prices and availability subject to change. Additional terms may apply.